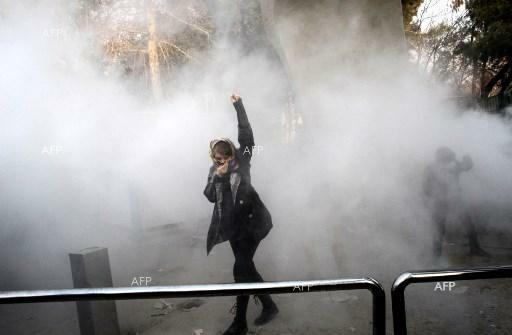 Iran was recently shaken by serious protests against the government. Many people were killed. 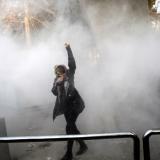 The Iranians are longing for freedom and economic development, but at the same time, they feel capitalistically exploited. They are tired of the regime putting huge sums in proxy wars in Syria and Yemen, while important social subventions for citizens were cut in the state budget. Furthermore, there are corruption charges against religious leaders and the revolutionary guards. The European Union must take these developments seriously and cannot be too reluctant against the Iranian leadership just because of the nuclear deal with Iran. Especially the right to peaceful demonstrations and freedom of expression must be guaranteed. Upholding the nuclear deal, however, is still of greatest importance to peace, stability, and security, both in the region and globally. We must not underestimate the meaning of the agreement made in 2015. This is a clear message that Europe must send to US President Donald Trump and his administration. Stepping away from the deal would not only be counterproductive and has the potential to endanger security globally, it also certainly would not put us in a better position to tackle other disputes with Iran of which there are many to discuss. It seems as if President Trump does not understand much about this agreement, which he once even called “the worst deal ever”. Let us take a brief look back and recall why the nuclear deal – the “Joint Comprehensive Plan of Action” (JCPOA) – with Iran is of such importance. After twelve long years of negotiations, on 14 July 2015 the involved countries – Iran, the USA, Russia, China, France, the UK and Germany – concluded the agreement that came into effect on 18 October 2015. The JCPOA, unanimously endorsed by UN Security Council Resolution 2231, ensures that Iran’s nuclear programme remains exclusively peaceful and provides for the comprehensive lifting of UN, EU and US nuclear-related sanctions. Consequently, in January 2016 the EU lifted all nuclear-related economic and financial sanctions against Iran, with the exception of proliferation-related sanctions and restrictions (such as arms embargo, sanctions related to missile technology, restrictions on certain nuclear-related transfers and activities, and provisions concerning certain metals and software). However, sanctions imposed by the EU in view of the human rights situation in Iran, support for terrorism and other grounds are not part of the JCPOA and remain in place. The recent developments regarding the US government’s position are ominous. On 13 October 2017, Trump threatened to leave the nuclear deal if it was not amended to permanently block Tehran from building nuclear weapons or intercontinental missiles. This is apparently a wrong assumption. The International Atomic Energy Agency (IAEA) has repeatedly assessed that “Iran’s nuclear-related commitments are being implemented”, as IAEA Director General Yukiya Amano confirmed on 14 November 2017. I do trust in the IAEA’s objectivity and reliability as well as in its verification and monitoring activities. Firstly, we must save the deal as such since it has proven to be successful. For the European Parliament and the EU as a whole, it is important that there is the continued full and effective implementation of all parts of the JCPOA. Secondly, we have to avoid a split between the partners of the JCPOA. While the European Union with our High Representative for Foreign Affairs and Security Policy Federica Mogherini has played a crucial role in negotiating the deal, the JCPOA can only work properly if the US remains in. Therefore, in November 2017, I was in New York and Washington in order to promote the agreement and try to keep the US at our side. The Democrats support the deal, and some Republicans, too. However, if the US Congress does not reach a decision on how to proceed, there is the danger of Trump terminating the nuclear deal. UN Secretary General Antonio Gueterres confirmed to me that from a legal point Trump could not just terminate the JCPOA unilaterally – by doing so, the US would violate international law. Albeit these legal issues, the EU considers Trump’s announcement as being in the context of an internal US process – the US President, however, should be strongly advised to take into account the implications for the security of the US, its partners, and the region before taking further steps. As the European Union stated on 16 October, only three days after Trump’s threat to leave the JCPOA, the nuclear deal is a key element of the nuclear non-proliferation global architecture. Especially at a time of acute nuclear threat, the EU is therefore committed to preserve the JCPOA and to implement all parts of it. It must be made clear that lifting nuclear-related sanctions have a positive impact on trade and economic relations with Iran including benefits for the Iranian people. It strengthens cooperation and allows for continuous dialogue with Iran. What the European Union needs now – especially concerning the latest developments in Iran – is a dual strategy: On the one hand, we must do our best to preserve the nuclear deal and keep up talks. On the other hand, we must clearly point at any violation of human rights. As far as human rights are concerned, the EU has to remain credible and cannot afford to be untrustworthy out of false cautiousness. I am confident that with this strategy we will have a good chance to succeed. We can also not accept the Iranian missile programme, the participation in the proxy wars in Yemen, Iraq, and Syria, but also the policy in Lebanon. We will never accept the Iranian fight against the right of existence of a Jewish state of Israel.